People want to wear clothes that feel incredibly comfortable but look stylish and are easy to take care of. Typically, they need to choose between “Performance” clothing, which is usually athletic, athleisure, or active silhouettes, or “Luxury” clothing, which are beautiful, but expensive. 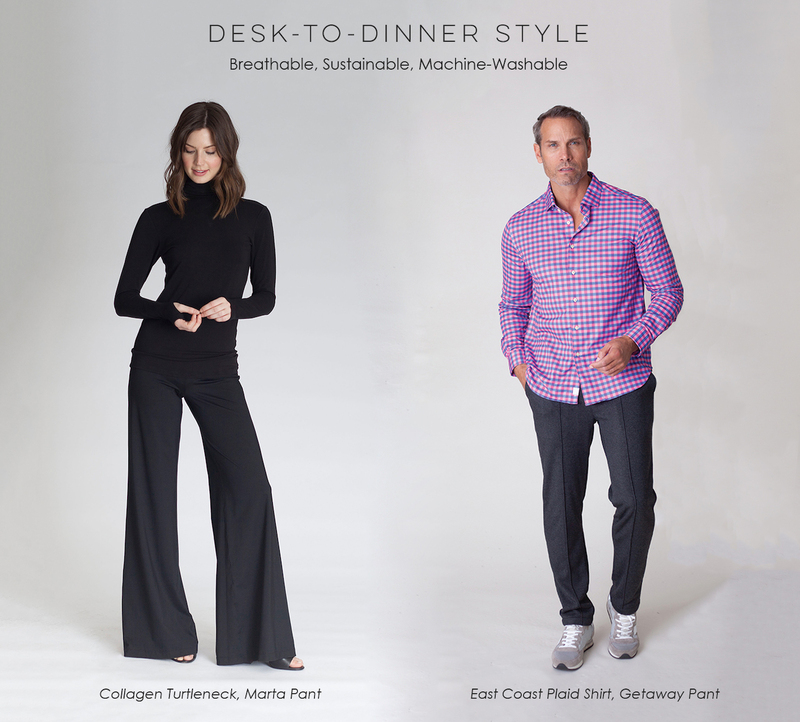 There isn’t a luxury clothing brand that offers consumers desk-to-dinner styles with performance qualities...until now. US fashion trends have fundamentally become more casual, driving a growing athleisure market, but consumers are demanding more than ‘sweats’. There are other clothing brands doing ‘technical’ clothing, but not in the luxury space, and not as a full clothing collection for men and women. As a result, the $292B US apparel market is void of a high-end clothing collection that offers performance qualities in desk-to-dinner silhouettes. People want to wear comfortable clothes that can take them from desk-to-dinner. With the benefit of innovation, and technology, Buki makes that possible. Technology is improving every aspect of our everyday lives, and your clothes are no exception. We craft what we think is the world's most comfortable clothes by combining state-of-the-art fiber technology with luxurious fabrics. Our seasonless collection of wardrobe staples are great for travel, and even better for everyday. We believe in “Fabrics First” and design our collections around our proprietary fabrics that perform: from keeping you warm, to cooling you down, and even softening your skin...Buki is a Wardrobe Revolution. 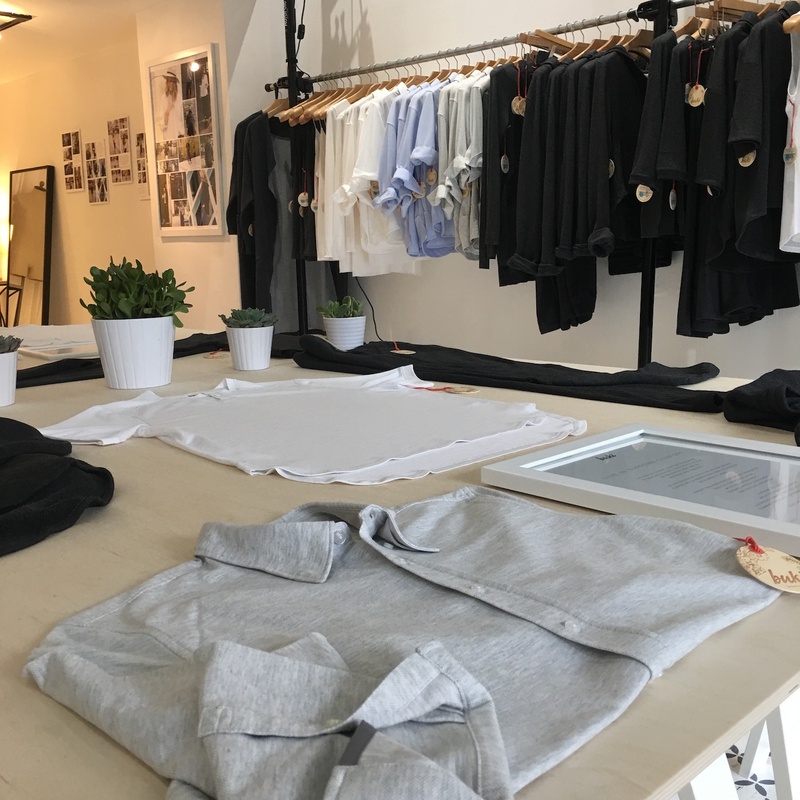 Co-Founders Joey Rodolfo and Stacy Bennett, seasoned industry executives, had a dream of creating the world's most comfortable clothing collection and Buki is turning that dream into a reality. 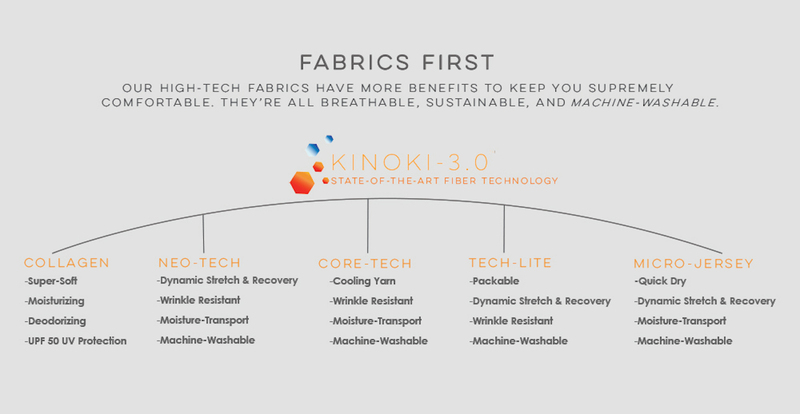 Rodolfo developed our proprietary fiber technology, Kinoki-3.0™, with the leading fiber innovation company in the world (located in Japan), and designed the collections around the innovative fabrics. 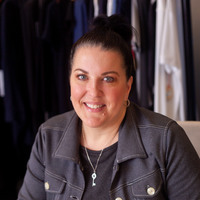 Bennett heads up the company’s marketing and operations efforts and together they are a dynamic duo that is passionate about innovating the apparel market with technology. 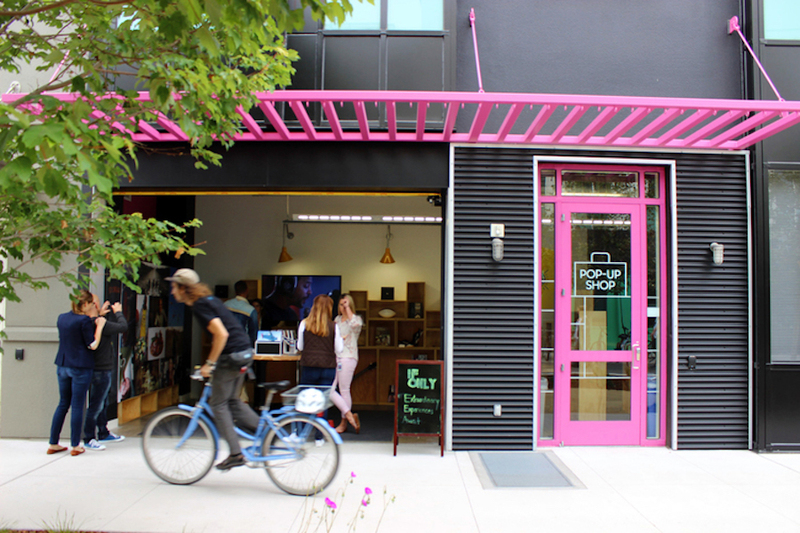 They opened a Pop-Up Shop downtown Seattle in November 2016 to test the concept and it was quickly a hit; the Seattle store has become their Flagship location and they are now carried in 65 high-end retail boutiques around the country. 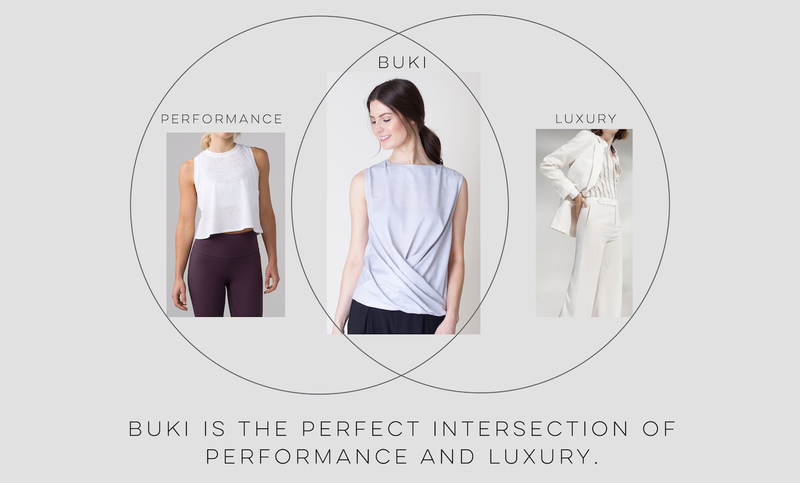 Since launch, Buki has gotten great traction in their Seattle retail store, on their website, and in high-end specialty boutiques across the country. 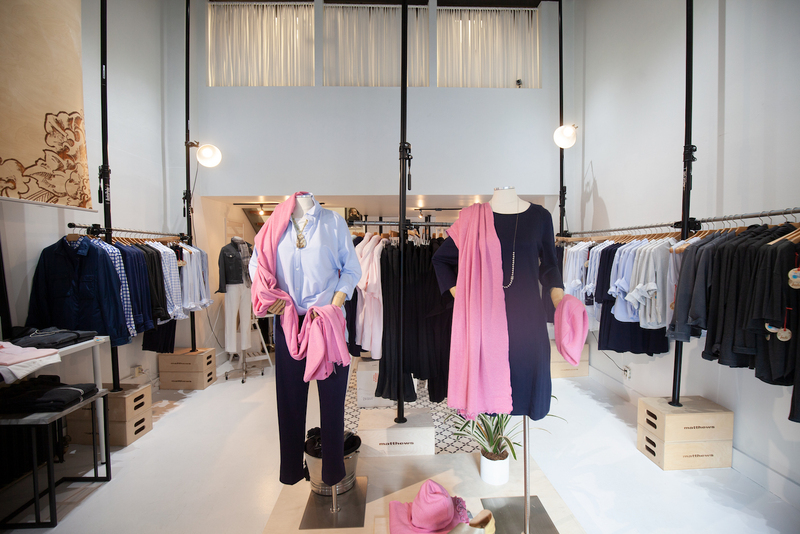 We believe in the retail channel as a way to bring our collection to life; customers benefit from experiencing our revolutionary technical fabrics to fully appreciate them. And the true epiphany happens when they try them on and experience fabrics that they’ve never experienced before (because we’ve developed all of them). The real testament is in wearing Buki over time; 70% of our sales are from repeat customers. Once you wear Buki, it’s all you want to wear. And our price points range from $98-248 so it’s accessible to build a capsule collection of comfort. Partners/Events: We are exploring several creative strategies to increase Brand Awareness and Sales with additional retail outlets: Corporate Pop-Ups (Facebook, Twitter, Amazon, etc) and B8ta Retail Stores. Our desk-to-dinner technical clothing is very appealing to corporate tech employees and we were invited by Facebook HQ to host a Pop-Up Event at their Silicon Valley corporate headquarters; we are actively pursuing these type of corporate events. We are a featured vendor partner at B8ta retail locations in Chicago, San Francisco, Houston, and New Jersey. The Impressions and Discoveries that we receive in their retail stores are of scalable volume with great synergy between our target customer and their target customer. Targeting $1M in sales in year 5. Buki focuses on well-educated, well-traveled, and well-employed consumers who appreciate luxury, comfort, and style. 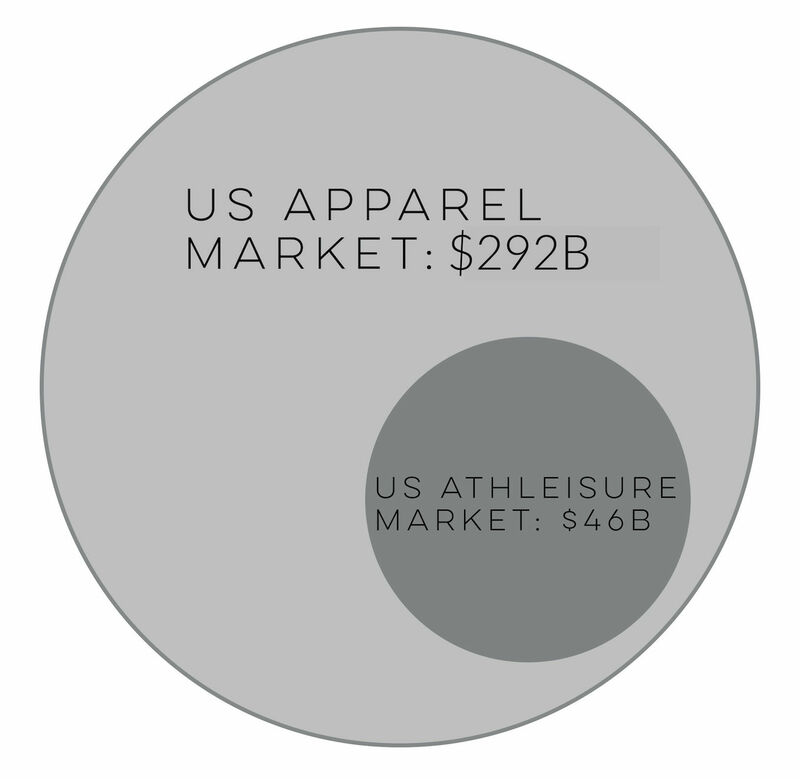 While we are targeting the $292B US apparel market, we keep our eye on the $46B athleisure market because of the comfort and easy-care factors. The comfort of Buki’s clothing is on par with athleisure, but the desk-to-dinner style is categorized in the Apparel market proper. Our strategy is to introduce our clothing collection into their shopping path via their favorite high-end specialty retail boutique (our own stand-alone Pop-Up or via a retail partner) and by becoming a go-to clothing solution for their weekday, weekend, travel, and work. Other brands are doing ‘technical’ clothing, but not in the luxury space, and not as a full clothing collection for men and women. We tested the waters with a Kickstarter campaign in 2017, but our fundraising journey really begins here at Republic. Joey and Stacy have personally invested over $500,000 to kick things off and prove the concept. Buki has obtained a $150K small business loan and has $292K cash in the bank. Conversations about potential future funding are underway with high profile individuals. Our launch was a success and customers are loving the comfort, style, and ease of our luxury technical clothing: we’ve created our most innovative fabric yet in our Collagen Collection and we’re ready to expand into the high-end wholesale market this year, including spas and resorts. If we reach our goal of $107,000, we will be able to fund more aggressive sales and marketing programs to further accelerate our growth in 2019. Joey and Stacy are passionate about how technology drives innovation. Joey was inspired by Richard Hellmstetter, the inventor of the Big Bertha, at Callaway who provided the design direction, “Design clothes like they’re equipment.” And Joey has designed clothes to function and perform FIRST, ever since. Stacy was influenced by her time at Clarisonic, a category creating device which was the perfect intersection of beauty and technology. 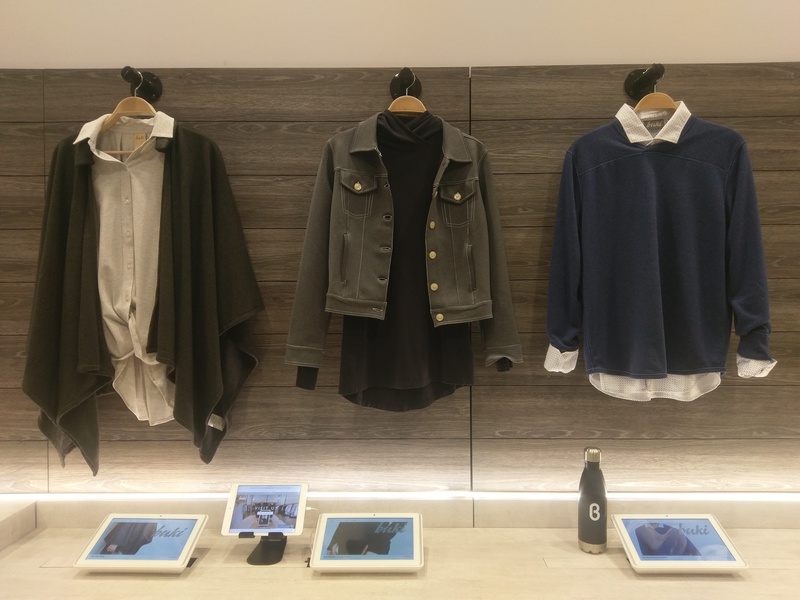 She sees a similarity to Buki, which is targeting to be the leading ‘technical clothing’ brand in the world by intersecting technology and clothing. Together, we can transform how people dress from desk to dinner. Thank you for your support. The smallest investment amount that Buki is accepting. Buki needs to reach their minimum funding goal before the deadline. If they don’t, all investments will be refunded. If a trigger event for Buki occurs, the discount provision gives investors equity shares (or equal value in cash) at a reduced price. 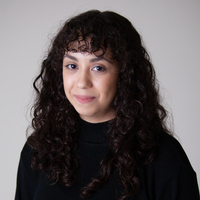 Buki needs to raise $25K before the deadline. The maximum amount Buki is willing to raise is $107K. 15% lifetime discount. Two Buki Hoodies +Two Buki T-Shirts + Two Buki Pants. 15% lifetime discount. Invitation to design a Buki product that will be named after you. Plus, Two Buki Hoodies +Two Buki T-Shirts + Two Buki Pants. 20% lifetime discount. Invitation to design a Buki product that will be named after you, dinner with the Founders, Joey Rodolfo and Stacy Bennett, a Private Design Studio, and a Store Tour that includes selecting 10 items of your choice (transportation not included. Held in Seattle). Tim Draper: Imagine that. They wanted another season. Speaker 4: Billion dollars lost every year. Speaker 5: We were both wandering aimlessly. Speaker 1: The judges ask the questions. Tim Draper: So what's special about you guys? Sanjay Nath: Where will this stay on your platform? Speaker 1: But here is the twist. You the viewers get to invest for equity. This is your chance to own a piece of the next big idea. To invest in a company, go to meetthedrapers.com, find them in this week's entrepreneurs, and you can invest. You can share in their future success. At the end of the season, the entrepreneurs with the most funds raised are brought back for the season finale where Tim Draper invests in his favorite company. Bill Draper: Become an entrepreneur because it's easy to get money, and that didn't happen at Wall Street. Speaker 1: Let the games begin. Tim Draper: Welcome back to Meet the Drapers. I'm really thrilled to be introducing our judges today. Our judges are Bill Draper, my father, a great pioneer in venture capital, and my team. Siri Srinivas. 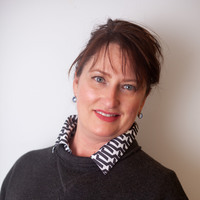 She is awesome and does amazing work at Draper Associates. And Andy Tang, also amazing work at Draper Associates. He actually kind of runs the business of Draper Associates and Draper University and all of the operations. And for today, we've always talked about what entrepreneurs should do, but now we're gonna talk a little bit about what they shouldn't do. What do you think an entrepreneur shouldn't do? Andy Tang: So little things I pick up, the team dynamics. We have seen business not go well when the founders don't get along. So sometimes we ask them how long they've worked together. Some of the things they do you can kind of pick up on that if they talk over each other or start disagreeing in front of the investors. So that's immediately a no no. Tim Draper: Yeah. They've gotta be better coordinated. And also having faith in each other. They'll fight because they don't trust each other with their job, whatever the job is. How about you Siri? Siri Srinivas: I think the biggest thing I tell founders is to treat fundraising as a sales process. Just like you wouldn't really get angry with your customer for not buying your product, you can't take fundraising decisions too personally. Most times people get really defensive or get very personal, especially when they get rejected, which is kind of silly because you want to have a longterm relationship with all of your perspective investors. We're always looking to see if a company's a fit for us. So treat the entire thing like a sales process. Tim Draper: Yeah. And think of it as a process where you're visiting one venture capitalists and you give this pitch and then you get a little bit of feedback and you move to the next one and you have a new sales pitch and a new one and a new one. It's not a surprise that Sun Microsystems got the funding on their 21st pitch. And when we funded Hotmail it was on his 25th pitch. It's a natural process. You're getting better. It's hard to tell a young kid how much if you practice over and over, you're gonna get better. But they don't really feel that way. And same with entrepreneurs. They don't really feel like they're gonna get better. They just say, "Here's my business. So why aren't you investing?" Andy Tang: You almost wanna start with the low probability in investors first [crosstalk 00:03:57] the best for last. Tim Draper: You wanna start with your spouse. They're the most honest with you. Bill Draper: I've served in a lot of boards, and the biggest mistake in that relationship is for the entrepreneur to be carrying some bad news and not tell the board right away. So that is my biggest concern about what an entrepreneur should not do. Tim Draper: Something else that sort of strikes me is show how excited you are about your business and show why it is that you're uniquely qualified for this business [crosstalk 00:04:32]. Bill Draper: You know, thinking about all those entrepreneurs that we've been talking to, the ones that stand out are those that had enthusiasm, energy, totally convinced that they were on the best horse in the game and they were gonna win the race. Tim Draper: With that, let's bring on some entrepreneurs. Tim Draper: But first, let's see what's going on behind the scenes. 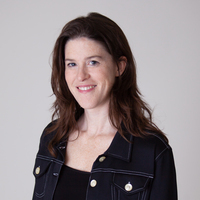 Stacy Bennett: I'm Stacy Bennett, co-founder and COO of Buki. Joey Rodolfo: Hi, I'm Joey Rodolfo, co-founder and designer of Buki. Stacy Bennett: We actually met when we both worked at an apparel company based out of Seattle. I was in the marketing department. Joey Rodolfo: And I ran the design department for a big brand. And so I've been doing this for 35 years designing men's and women's apparel. Stacy Bennett: My background's actually in marketing. I've been a marketing executive for about 20 years. I love brands and I love brand marketing and I love bringing the right product to the right person at the right time. 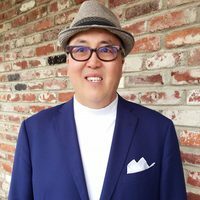 Joey Rodolfo: I had an idea and have been really focused apparel technology and fiber technology specifically and what was happening in Japan with fiber technology. We decided that we would venture out. Stacy Bennett: Kind of make our mark on the world. We're really excited. I don't feel nervous. I just really excited to get out there and share our story with the Draper family. We're hoping that introducing the Drapers to Buki will create big opportunities to help us reach our goal of introducing Buki as a global brand. Everyone can discover the wardrobe revolution. Joey Rodolfo: I'm Joey Rodolfo, designer and co-founder of Buki. Tim Draper: Are you moving in? Stacy Bennett: Do you have any openings? Tim Draper: You brought your whole closet. Okay, go ahead. Sorry. Stacy Bennett: No, that's fine. At Buki we're creating a wardrobe revolution with our collection of luxurious technical clothing that can take you from desk to dinner, and it's all machine washable. Joey Rodolfo: Unlike other brands out there, all of our fabrics are sustainably made. 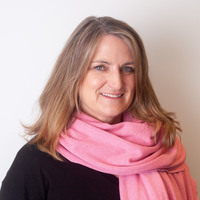 Stacy Bennett: So we make about 10 different fabrics, and they range from producing benefits such as thermal regulation, keeping you at the perfect body temperature when it's cold outside, to a hybrid technology that adjusts to your body temperature. Tim Draper: Do you own the technology or are you distributors? Joey Rodolfo: No. We don't own the technology. We actually own the secret sauce that we use in putting all of our fabrics together. Bill Draper: Tell a little bit about the secret sauce. We're on television. You could tell the world. Bill Draper: All the secrets. Tim Draper: It's no longer a secret sauce. Joey Rodolfo: There's a lot that goes into making fabrics. Obviously it's the technology behind the knitting that's a secret and also the way we blend these fibers. We bring the fibers in from Japan, and then we blend it with other fibers to create our own fabrics. The most important thing is that we do not use chemicals in finishing our fabrics. Stacy Bennett: We launched the brand in late 2016 with a pop up store downtown Seattle, and it was quickly apparent that people love Buki. Our average order size is consistently $400, and our returning customer rate is 67%. So when people discover Buki, they love Buki. So we believe in the retail channel as a way to create an immersive customer experience where people can touch and feel and really discover the brand. 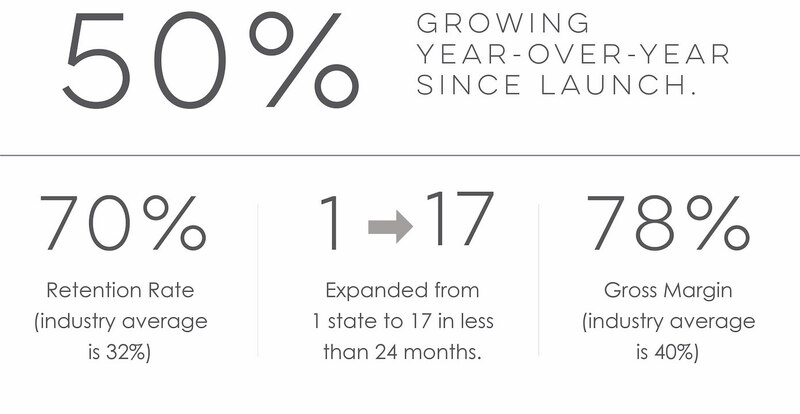 Stacy Bennett: Additionally, we're sold in about 62 high end specialty retail boutiques around the country. It's been really successful, and we foresee opening several more. So we did $845000 in our first year, and we're on track to do $1.3 million this year. Tim Draper: Does it feel different? Joey Rodolfo: You can feel the fabrics. Please. [crosstalk 00:08:05] Come on up. Tim Draper: [crosstalk 00:08:05] Why don't we just come up. You guys wanna try this? Joey Rodolfo: Come on up and feel the different fabrics [crosstalk 00:08:10]. Tim Draper: Oh, this is very soft. Joey Rodolfo: Very soft. And then you have to feel our collagen fabric. Tim Draper: So it doesn't feel consistent. It feels like they're [crosstalk 00:08:17]. Joey Rodolfo: They're all different fabrics. Bill Draper: They're very different. Yeah. Joey Rodolfo: Well, there's 10 different fabrics that we've developed. Each fabric has a different range of benefits. Tim Draper: Your sales are $1.3 million. Are you making a profit or are you losing? Stacy Bennett: We are just breaking even. Tim Draper: And how have you been financed so far? Joey Rodolfo: Ourselves. We've put in about just over a million dollars of our own money. We wanted to get this thing far enough to be able to get our brand out there. I'm not sure you're familiar with Cutter and Buck. 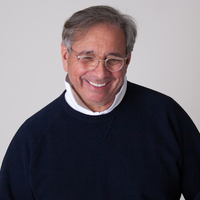 I was a co-founder [crosstalk 00:09:08] and took Cutter and Buck public, so I've done this before with brands. Tim Draper: What was your role at Cutter and Buck? Joey Rodolfo: I was the co-founder of Cutter and Buck, and I designed the entire brand. Bill Draper: How do you divide up your work between the two of you? Stacy Bennett: Part of what we wanna do with raising funds is we wanna hire a CEO. Because right now I play the role of the COO and CMO, and Joey plays the role of the president and designer. Joey Rodolfo: Yeah. We know we need a global strategist CEO because we see this as a global opportunity with our brand. When I was with Tommy Bahama I could see how important it was to have that visionary person that's thinking way ahead that understands the licensing part of a brand. Stacy Bennett: So I've been a marketing executive for 20 years. Worked for Amazon.com. Launched their direct mail program way back in the day. Worked for Nordstrom. Ran their database marketing department. And so I really ... I head up the operations of the company, and then I play a marketing role. Tim Draper: Now why did you do this? I mean, there are so many stores with so many different clothes. Why start a business in clothes? Tim Draper: And you iron them out? Joey Rodolfo: Most of them are hang dry. Tim Draper: Hang to dry and they're good. Andy Tang: What do you envision in 10 years? Does this become a Versace? 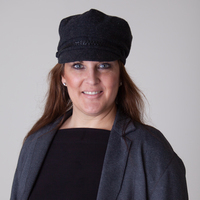 Stacy Bennett: In 10 years from now, we would have the consumer mind share of being the leader in technical clothing. Bill Draper: I think that is a big mistake. Being known as a technical brand does not go with clothing. You don't feel good if you're a technical brand. It doesn't sound ... I would try to change your marketing program a little bit. Joey Rodolfo: When we have customers come into our store and they don't get technical either, but they do get is easy care. Do I have to iron it? That's the ah ha moment when you tell them that they don't have to apply an iron, they don't have to send it to the dry cleaners. Bill Draper: Yeah. Easy care, soft care, anything. Bill Draper: But not technical care. Tim Draper: Yeah. I like the eco friendly. And you can go into your technology and why this technology works and how it's wonderful, but I ... Yeah. Technical clothes? Tim Draper: Am I paying a premium for this? Is this higher end? Joey Rodolfo: It is higher end. Tim Draper: And you talked about ingredients. Are they all natural ingredients? You said no chemicals go into it. Joey Rodolfo: We blend supima cotton. We blend it with our technology. And then in plating, you know, you'll have supima cotton on the face of the fabric and you'll have your technology against your skin. Tim Draper: So inside does that make you sweat more? Joey Rodolfo: No. It actually is the opposite. I was in New York recently and we ... It was hot. We had a customer that came in with a technical shirt, and she goes, "Oh, I'm wearing this technical shirt." It was stuck to her skin. So the fabric was doing absolutely nothing for her, right? So we sent them out with one of our shirts. She came back the next day and goes, "Oh my God, I'm dry. I'm dry." So to your point, our fabrics are designed to keep you dry. Bill Draper: So what's your biggest problem today? Joey Rodolfo: Customer acquisition is everybody's biggest concern as you go out there, right? Acquiring a customer and being able to tell your story. Now, we think that the competition is going to continue to come this way because the future is that people don't wanna dry clean their clothes, and I heard that for 10 years. So this is the future. We need to scale this up quickly so we can stay ahead of the curve. Tim Draper: Well terrific. Thank you [crosstalk 00:12:30] so much for coming to meet the Drapers. Tim Draper: Pleasure [crosstalk 00:12:34]. Joey Rodolfo: Pleasure to meet you. Thank you. Joey Rodolfo: Thank you for [crosstalk 00:12:37]. Pleasure. Stacy Bennett: I think it went great. Honestly, it's like anything. You go with a plan, and there's a little curve in the road and you just kind of go with the curve in the road. And they had great questions. Joey Rodolfo: They had great questions some other people have not asked. We talk about our brand positioning because we're a new brand in this space, and we refer to it as a technical apparel brand. People are confused oftentimes, but the ah ha epiphany moment happens when you actually try the clothes on and you actually wear them and you know that you don't have to dry clean them, iron them, that you can wash them. And that's I think what we had to get through. 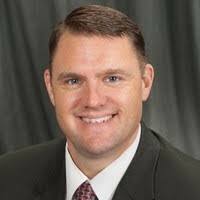 Stacy Bennett: I think our big picture takeaway was the question that Bill Draper asked. Our brand positioning being so founded in technical is something we're definitely gonna take away and talk about with our team and hopefully come back around the finals with some pivots that they'll notice and be impressed with hopefully. 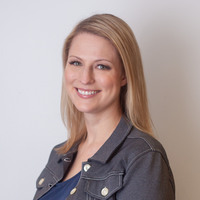 Stacy Bennett: I think what we're most excited about with the crowdfunding is that we started the brand in Seattle, and we want to expand to the rest of the U.S. and then eventually the globe. And so this allows us to accelerate that goal much quicker. We'd love if you could join us with our wardrobe revolution and invest in Buki. Go to republic.co/buki. B-U-K-I. Join the wardrobe revolution. 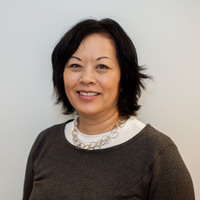 Tim Draper: So let's see what our judges thought about Buki. What did all of you think? Tim Draper: If they take it. Bill Draper: If they take it, they'll win. If they don't, forget them. Siri Srinivas: I think this is sort of the golden age of consumer brands. I don't know if 20 years ago we'd be investing in a clothing brand. There have been a whole bunch of brands that have sort of built a whole new way of selling something that's very ordinary like Casper and mattresses. This is the right time, and I think [inaudible 00:15:04] going for it. But I didn't see anything new in the business model front. Andy Tang: To think about investing in innovation and technology, I don't think of textile as an industry, but I think of brand potentially. Then I started thinking I actually remember learning in marketing there's something called a snob good. It's too cheap. Businessmen, they wanna feel like they pay up. You pay $100, $200 for a dress shirt, you're getting high quality Italian dress shirt. So these guys, their price point is about $200. So they could potentially have an interesting breakthrough. And coupled with this guy who has obviously done it before gives me some confidence. But I don't like the fact that they don't have a CEO. I thought that was a little bit weird. Tim Draper: Right. And I don't know why that guy [crosstalk 00:15:45]. Andy Tang: He should be the CEO. Tim Draper: He's a founder of a company that's went public. Andy Tang: Right. He's certainly capable of doing it. Bill Draper: I understand that. In fact, I thought that was a positive that they didn't try to do it themselves. Siri Srinivas: Really? I would advise them to embrace it and take up the CEO role. One of them should. Bill Draper: Funny, I had a totally different reaction. Tim Draper: Really. We're gonna go to the crystal ball and we'll get a little vibe and then we'll sort of see what the crystal ball says. Oh, you've already gotten your vibe? [crosstalk 00:16:13] I'm waiting. You have good spiritual reads. Yeah. Siri Srinivas: That's why you hired me. Tim Draper: I did. Wow, okay. I got it. Bill Draper: I got mine. Tim Draper: Okay, here's how we vote. Thumbs up, thumbs down, thumbs all around, then you choose, okay? Tim Draper: Thumbs up, thumbs down, thumbs all around. Wow. Three ups and me. Wow, I'm usually the up. I was sideways because there's just so much competition in clothing, and building a new brand, no matter what the technology or whatever, is tough. But they've made great progress. $1.3 million in sales. But it's not up to us. It's up to you. As a viewer you can vote, you can invest. This is the only show in the world where you can actually invest in the companies that are being interviewed. So go to meetthedrapers.com and vote or invest. The Companys business and operations are sensitive to general business and economic conditions in the United States. A host of factors beyond the Companys control could cause fluctuations in these conditions. Adverse conditions may include: recession, downturn or otherwise, local competition or changes in consumer taste. These adverse conditions could affect the Companys financial condition and the results of its operations. The Company is a startup company. The Company has not achieved profitable results and will incur additional costs prior to becoming profitable. These matters raise substantial doubt about the Company's ability to continue as a going concern. While the Company intends to become profitable in the future, it cannot assure when or if it will be able to do so. If the Company fails to raise the Minimum Amount in this Offering or fail to execute its business plan successfully, then the Company will need to raise additional money in the future. Additional financing may not be available on favorable terms, or at all. The exact amount of funds raised, if any, will determine how quickly the Company can reach profitability on its operations. No assurance can be given that the Company will be able to raise capital when needed or at all, or that such capital, if available, will be on terms acceptable to us. If the Company is not able to raise additional capital, it will likely need to curtail its expansion plans or possibly cease operations. The Company may have difficulty obtaining additional funding and the Company cannot assure you that additional capital will be available when needed, if at all, or if available, will be obtained on terms acceptable to the Company. If the Company raises additional funds by issuing debt securities, such debt instruments may provide for rights, preferences or privileges senior to the Securities. In addition, the terms of the debt securities issued could impose significant restrictions on the Companys operations. If the Company raises additional funds through collaborations and licensing arrangements, it might be required to relinquish significant rights to our technologies or product candidates or grant licenses on terms that are not favorable to the Company. If adequate funds are not available, the Company may have to delay, scale back, or eliminate some of its operations or our research development and commercialization activities. Under these circumstances, if the Company is unable to acquire additional capital or is required to raise it on terms that are less satisfactory than desired, it may have a material adverse effect on its financial condition. Security breaches of confidential customer information, or confidential employee information may adversely affect the Companys business. The Companys business requires the collection, transmission and retention of employee information and customer data in various information technology systems that the Company maintains. 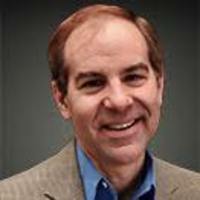 The integrity and protection of that customer and employee data is critical to the Company. The information, security and privacy requirements imposed by governmental regulation are increasingly demanding. The Companys systems may not be able to satisfy these changing requirements and customer and employee expectations, or may require significant additional investments or time in order to do so. A breach in the security of the Companys information technology systems or those of the Companys service providers could lead to an interruption in the operation of its systems, resulting in operational inefficiencies and a loss of profits. Additionally, a significant theft, loss or misappropriation of, or access to, customers or other proprietary data or other breach of the Companys information technology systems could result in fines, legal claims or proceedings. The Companys ability to meet its obligations to its customers may be adversely affected if suppliers or contractors do not provide the agreed-upon supplies or perform the agreed-upon services in compliance with customer requirements in a timely and cost-effective manner. Likewise, the quality of the Products may be adversely impacted if a contractor or a supplier of major components for the Products, or from whom we acquire such items, do not provide components which meet required specifications and perform to our and our customers expectations. Our suppliers may be unable to quickly recover from natural disasters and other events beyond their control and may be subject to additional risks such as financial problems that limit their ability to conduct their operations. The risk of these adverse effects may be greater in circumstances where we rely on only one or two contractors or suppliers for a particular component. The Products may utilize custom components available from only one source. Continued availability of those components at acceptable prices, or at all, may be affected for any number of reasons, including if those suppliers decide to concentrate on the production of common components instead of components customized to meet our requirements. The supply of components for a new or existing product could be delayed or constrained, or a key manufacturing vendor could delay shipments of completed Products to us adversely affecting our business and results of operations. Our reputation and the quality of our brand are critical to our business and success in existing markets, and will be critical to our success as we enter new markets. Any incident that erodes consumer loyalty for our brand could significantly reduce its value and damage our business. Reputation risk, or the risk to our business from negative public opinion, is inherent in our business. Negative public opinion can result from the Companys actual or alleged conduct. Negative public opinion can adversely affect the Companys ability to attract and retain customers and employees and can expose the Company to litigation and regulatory action, which may be expensive and time-consuming. Also, there has been a marked increase in the use of social media platforms and similar devices, including blogs, social media websites and other forms of internet-based communications that provide individuals with access to a broad audience of consumers and other interested persons. The availability of information on social media platforms is virtually immediate as is its impact. Information posted may be adverse to our interests or may be inaccurate, each of which may harm our performance, prospects or business. The harm may be immediate and may disseminate rapidly and broadly, without affording us an opportunity for redress or correction. In particular, the Company is dependent on Joey Rodolfo and Stacy Bennett, who are the directors and executive officers of the Company. The Company has or intends to enter into an employment agreement with them, although there can be no assurance that it will do so or that they will continue to be employed by the Company for a particular period of time. 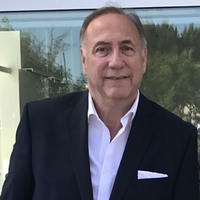 The loss of Joey Rodolfo and Stacy Bennett or any member of the board of directors or executive officer could harm the Companys business, financial condition, cash flow and results of operations. The Company is dependent on certain key personnel in order to conduct its operations and execute its business plan, however, the Company has not purchased any insurance policies with respect to those individuals in the event of their death or disability. Therefore, if any of these personnel die or become disabled, the Company will not receive any compensation to assist with such persons absence. The loss of such person could negatively affect the Company and its operations. The Company has no way to guarantee key personnel will stay with the Company, as many states may not enforce certain non-competition agreements, and therefore acquiring key man insurance will not ameliorate all of the risk of relying on key personnel. The Company may implement new lines of business or offer new products within existing lines of business, which may not prove successful. There are substantial risks and uncertainties associated with these efforts, particularly in instances where the markets are not fully developed. In developing and marketing new lines of business and/or new products, we may invest significant time and resources. Initial timetables for the introduction and development of new lines of business and/or new products may not be achieved, and price and profitability targets may not prove feasible. We may not be successful in introducing new products in response to industry trends or developments in technology, or those new products may not achieve market acceptance. As a result, we could lose business, be forced to price products on less advantageous terms to retain or attract customers, or be subject to cost increases. As a result, our business, financial condition or results of operations may be adversely affected. To succeed in a competitive industry, the Company must continually improve the Products to include newer features, functionality or solutions, and keep pace with price-to-performance gains in the industry. Shortened product life cycles due to customer demands and competitive pressures impact the pace at which the Company must introduce and implement new technology. This requires a high level of innovation by both the Companys designers and suppliers. In addition, bringing new solutions to the market entails a costly and lengthy process, and requires us to accurately anticipate customer needs and fashion trends. The Company must continue to respond to market demands or the Companys business operations may be adversely affected. We face competition with respect to any products that we may seek to develop or commercialize in the future. Many of our competitors have significantly greater financial, technical and human resources than we have and superior expertise in research and development and marketing approved products and thus may be better equipped than us to develop and commercialize products. These competitors also compete with us in recruiting and retaining qualified personnel. Smaller or early stage companies may also prove to be significant competitors, particularly through collaborative arrangements with large and established companies. Accordingly, our competitors may commercialize products more rapidly or effectively than we are able to, which would adversely affect our competitive position, the likelihood that our products will achieve initial market acceptance and our ability to generate meaningful additional revenues from our products. The Companys management will have considerable discretion over the use of proceeds from this Offering. You may not have the opportunity, as part of your investment decision, to assess whether the proceeds are being used appropriately. You should not rely on the fact that our Form C is accessible through the SECs EDGAR filing system as an approval, endorsement or guarantee of compliance from the SEC as it relates to this Offering. Purchasers will not become equity holders until the Company decides to convert the Securities into CF Shadow Securities or until there is a change of control or sale of substantially all of the Companys assets. The CF Shadow Securities will be subject to dilution. The Company may issue additional equity to employees and third-party financing sources in amounts that are uncertain at this time, and as a consequence Purchasers will be subject to dilution in an unpredictable amount. Such dilution may reduce Purchasers control and economic interests in the Company. The amount of additional financing needed by the Company will depend upon several contingencies not foreseen at the time of this Offering. Each such round of financing (whether from the Company or other investors) is typically intended to provide the Company with enough capital to reach the next major corporate milestone. If the funds are not sufficient, Company may have to raise additional capital at a price unfavorable to the existing investors, including Purchasers. The availability of capital is at least partially a function of capital market conditions that are beyond the control of the Company. There can be no assurance that the Company will be able to predict accurately the future capital requirements necessary for success or that additional funds will be available from any source. Failure to obtain such financing on favorable terms could dilute or otherwise severely impair the value of the Purchasers Securities. The Company may issue to Purchasers equity securities that are materially distinct from equity securities it will issue in the future. The CF Shadow Securities will be distinct from the equity securities issued to new purchasers in at least the following respects: to the extent such equity securities bear any liquidation preferences, dividend rights, or anti-dilution protections, any equity securities issued at the Conversion Price (as provided in the Securities) shall bear such preferences, rights, and protections only in proportion to the Conversion Price and not in proportion to the price per share paid by new investors in equity securities. The Company may not provide Purchasers the same rights, preferences, protections, and other benefits or privileges provided to other purchasers of the Companys equity securities. This paragraph does not purport to be a complete summary of all such distinctions. I believe that sustainable techwear should be a thing, not just polyester fabric branded/marketed as techwear. Good luck! I love the Buki products! It is the perfect combination of luxury and performance for my husband and myself! The pieces are timeless and like nothing I have in my existing waredrobe. I believe in the technology/technique behind the clothing and its potential value.